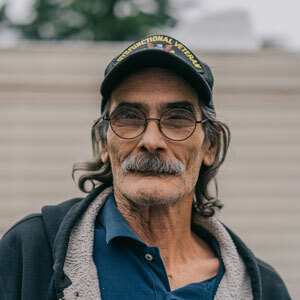 Out of the 46 million people Feeding America and the network of food banks serve each year, 20 percent of households include someone who has served or is currently serving in the U.S. military. It is unacceptable that anyone goes hungry, but it’s particularly troubling that millions of Americans who’ve protected and served our country are left without enough to eat. Across the Feeding America network, there are a variety of programs designed to ensure that our nation’s veterans don’t go hungry. One of these is Sonoma County Vet Connect, a community center and food pantry served by Redwood Empire Food Bank. I visited Vet Connect recently and while I was impressed by its work, I was saddened by the number of veterans who are forced to rely on its services. I was privileged to be able to spend time with a few of these individuals and hear their stories of struggle and resilience. I met 81-year-old Felix. A career military man, he spent 20 years in the Air Force. After retiring, he worked as an auto mechanic for just as long. But despite his hard work, he now barely makes ends meet on his fixed income. Standing next to Felix in a long line of people waiting for food was Jim. He had a big smile on his face and was gracious in sharing his story. While Felix served in the air, Jim served at sea in the U.S. Navy. 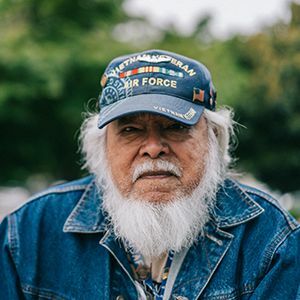 Jim and Felix – and others I’ve met across the U.S. including Priscilla – are only a few of millions of veterans in our nation who are facing hunger. Not all of them have a place to turn to for help. At Feeding America, we’re working on changing that. Learn more about how you can help us end hunger for veterans. Veterans fought bravely to make the nation a better place for us, now it’s time for us to fight to make it a better place for them.